On Friday, April 19, ASPIRED completed a full-week training course on GIS mapping for the staff of the Water Resources Management Agency (WRMA) of the Ministry of Nature Protection. Designed by the request of the WRMA as a follow-up on the GIS courses conducted by the ASPIRED in the past, this training improved the participants’ skills in the practical use of the GIS, namely working with various types of data and design of thematic maps, statistical data generation, data exporting, etc. Celebrated globally on March 22, the World Water Day highlights the importance of water for humanity and promotes sustainable water resource management around the world. This year’s theme for the World Water Day is “Leaving No One Behind” to encourage united efforts that will ensure water availability for all. 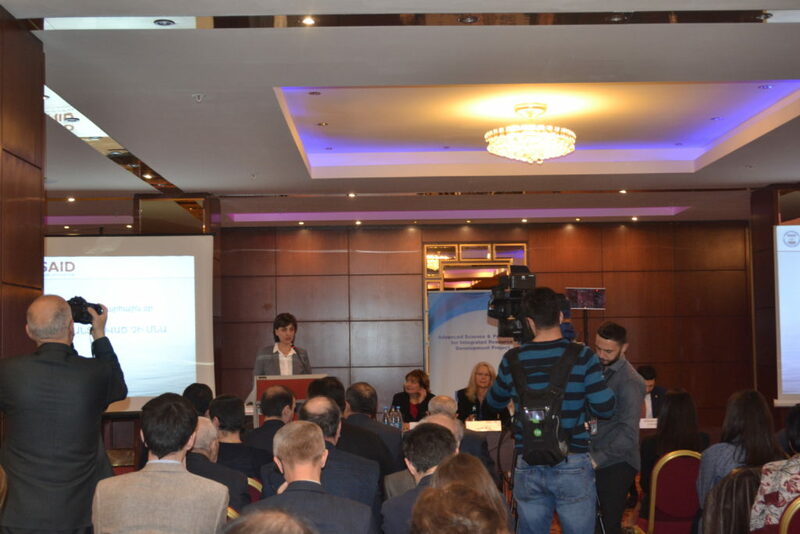 Access to water and sustainable management of water resources still remain challenges for Armenia. There is an increasing pressure on the water systems throughout the country for drinking, agriculture, energy generation, and industrial production. One of the country’s priority issues is the critical depletion of groundwater reserves in the Ararat Valley, the country’s key agricultural hub. Based on USAID’s assessment in 2014, the uncontrolled use of artesian water has shrunk the groundwater basin by almost 10 meters on average. Groundwater shortages have serious implications on the country’s agricultural sector, the socio-economic well-being of the region, as well as the safety and security of the Metsamor nuclear power plant which uses the artesian water for its cooling system. More than 30 communities of Ararat and Armavir provinces currently face problems with drinking or irrigation water supply. 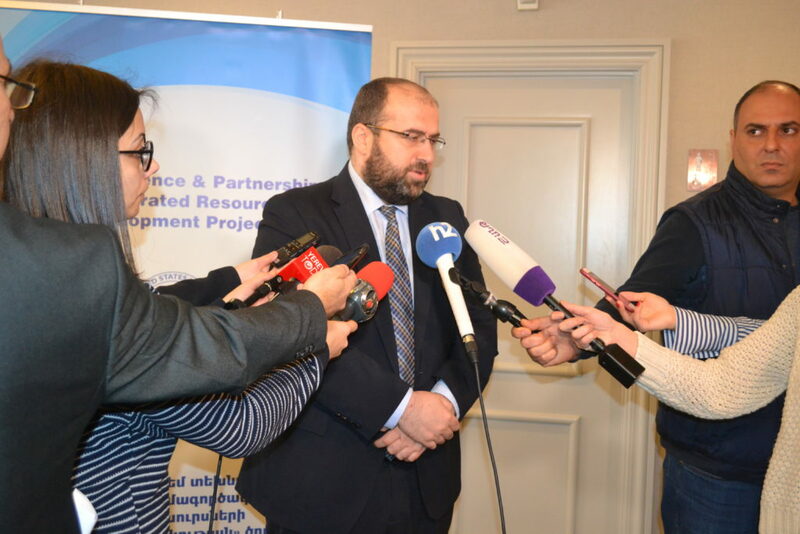 The USAID Advanced Science and Partnerships for Integrated Resource Development (ASPIRED) project, managed by the ME&A Inc., assists the Government of Armenia in developing policy and technical solutions for more sustainable abstraction and use of the groundwater resources of the Ararat Valley. The five-year ASPIRED marked this World Water Day through a public event, presenting the project’s mid-term accomplishments in 2015-2018. 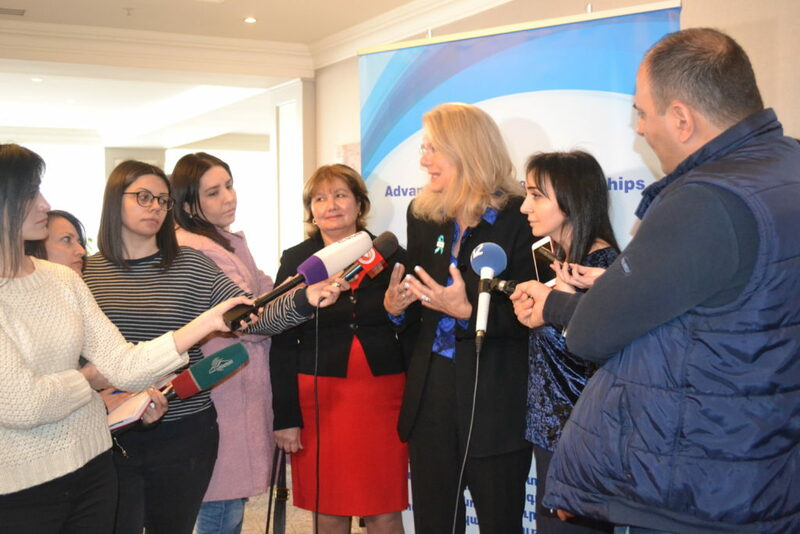 USAID Armenia Mission Director Deborah Grieser, Armenia’s Minister of Nature Protection Erik Grigoryan, representatives of the Armenian government and water sector stakeholders were in attendance. 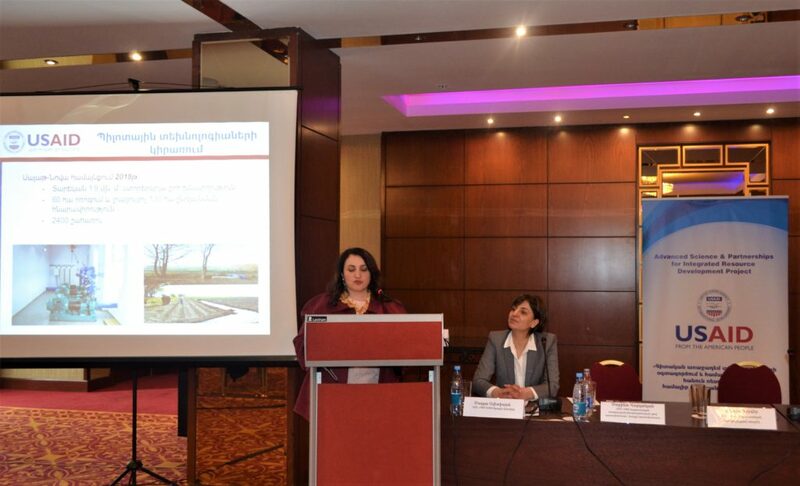 During the event, ASPIRED presented the advanced tools it has developed for more informed decision-making on groundwater management in the Ararat Valley: a 3-dimensional model of the groundwater basin and the computer-based Decision Support System (DSS). The 3D model of the Ararat Basin demonstrates the hydrogeologic structure and the water bearing potential of the basin. The DSS allows to assess water availability in natural conditions and analyze both human and climate change impacts on the water resources. In addition, ASPIRED has completed four water saving projects. The project has introduced the concept of secondary use of fish-farm water for irrigation needs in Hayanist and Sayat-Nova communities, returning 100 hectares of abandoned community farmlands back to cultivation and creating income-generating opportunities for 183 households. ASPIRED has also sealed a damaged artesian well in Sipanik community. With an outflow of 60 liters per second, the well water had been leaking into and flooding the neighborhood for years. 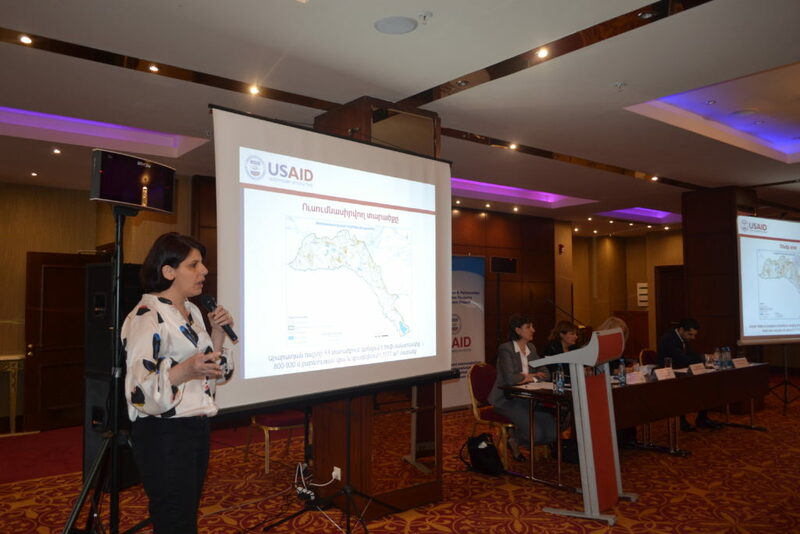 Apart from showcasing modern approaches to water and energy saving and conservation, the USAID ASPIRED project emphasizes the human and environmental impact of its activities which will improve the lives of 23,000 people and help preserve 9.2 million cubic meters of precious groundwater in the Ararat Valley. 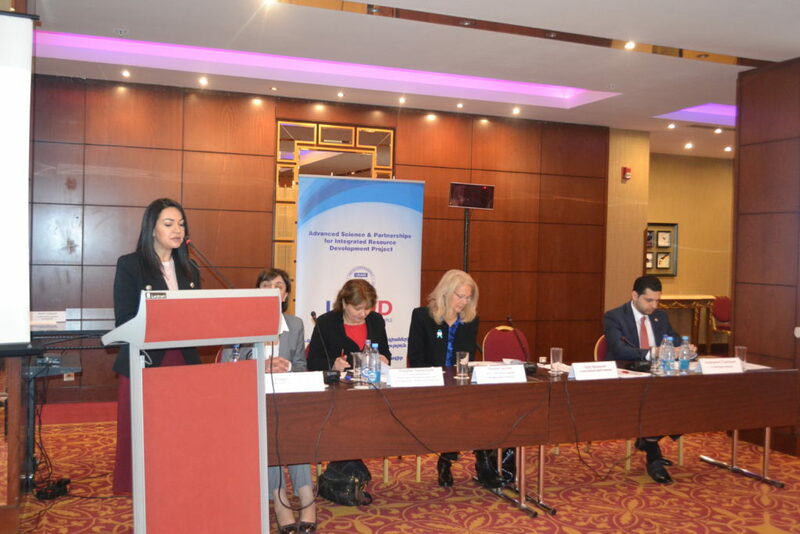 Going forward, together with its local partners, ASPIRED is implementing infrastructure projects in four communities of Armavir and Ararat marzes. An innovative aquaculture technology center in Armavir is also underway through joint efforts with a private fishery. From February 20 to March 4, the international expert Gerard Pinto, Associate Research Scientist, PhD from Marine Science Research Institute, Jacksonville University, provided consultancy for the newly built Aquaculture Technology Transfer Center (ATTC) – a pilot project implemented by the USAID’s Advanced Science and Partnerships for Integrated Resource Development Project (ASPIRED). His visit was organized by the USAID John Ogonowski and Dough Bereuter Farmer-to-Farmer Program (F2F), marking the start of effective partnership with the ASPIRED Project. Implemented jointly with a private fishery in Armavir, the ATTC is intended to serve as an experimental ground for testing, validating and demonstrating various aquaculture technologies and methods at smaller scale to be captured and utilized by other fisheries once being successful. The methods include water recirculation, airlifting, biological treatment of water, biofiltration, aquaponics, etc. In addition to producing sturgeon, the farmer also plans breeding Australian crayfish – a popular species among the aquaculture farms in different countries. With his specific expertise in rearing of Australian crayfish, Gerard Pinto worked with the fish-farmer and ASPIRED specialists to recommend best practices and low-cost solutions that will help to improve the efficiency of existing technical facilities and ensure the sustainability of the farm. 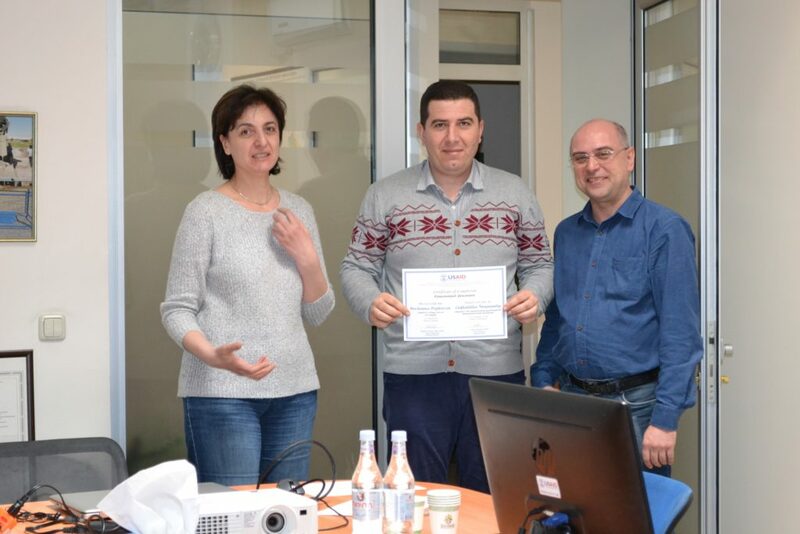 He also enriched the Crayfish Farming Manual based on his own practical experience in aquaculture, which was initially developed by the Birthright Armenia Volunteer for ASPIRED Project, Talene Baghdassarian. ASPIRED Project will share the Manual with the ATTC farmer and other interested fisheries. 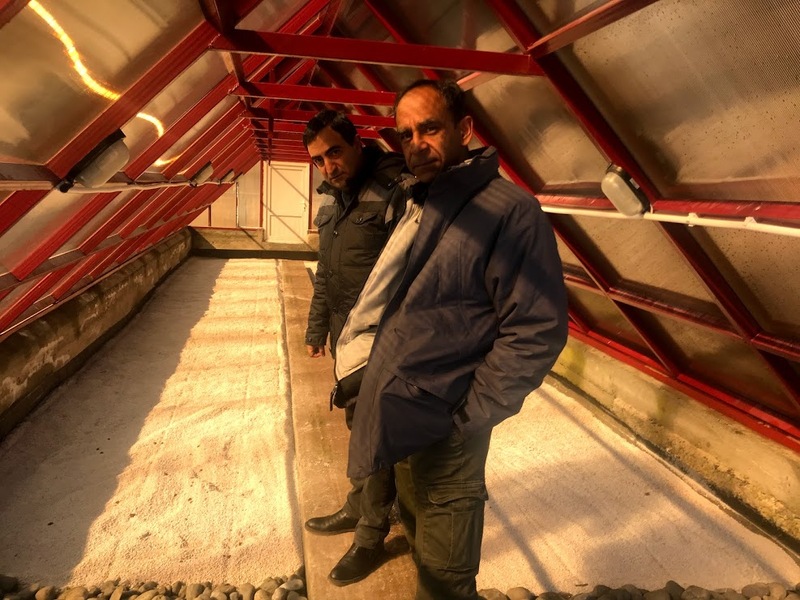 Gerard Pinto, who completed his first volunteer assignment in Armenia, remarked that ATTC would make an excellent venue for research purposes and testing of various aquaculture technologies. 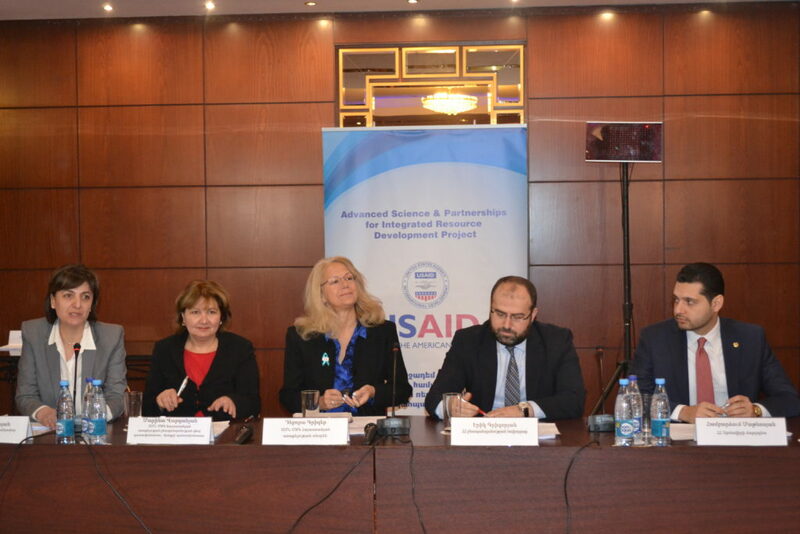 Cooperation between different USAID projects produces added value for the projects and their beneficiaries. ASPIRED Project seeks collaborative opportunities with various organizations and donor-funded projects that allows bringing additional resources and expertise to the project. 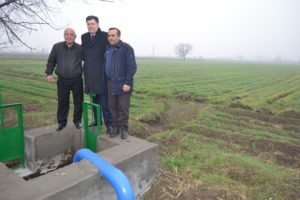 ME&A, the implementer of the USAID-funded Advanced Science and Partnerships for Integrated Resource Development Project, is soliciting proposals for preparation of engineering design, bill of quantities, and cost estimate under the Urban irrigation System Optimization Project in Vedi Town of Ararat Marz. 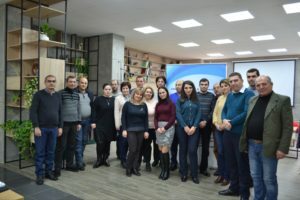 On February 15, ASPIRED Project hosted the first session of the working group on the development of the method of assessment of self-purification capacity of rivers. The working group includes both technical experts and the representatives of the stakeholder ministries. Qasakh river was selected as the pilot river for the elaboration of the method which will take into consideration such water quality, hydrological, biological and hydro-morphological characteristics of rivers. Upon elaboration the method will be presented to the Government. 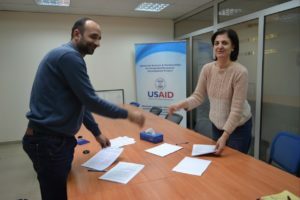 ME&A, the implementer of the USAID-funded ASPIRED Project, is soliciting proposals for preparation of engineering design, bill of quantities, and cost estimate under the Irrigation System Optimization Project in Hovtashat Village of Ararat Marz. Proposals must be received no later than 17:00, Yerevan Time, on February 15, 2019. 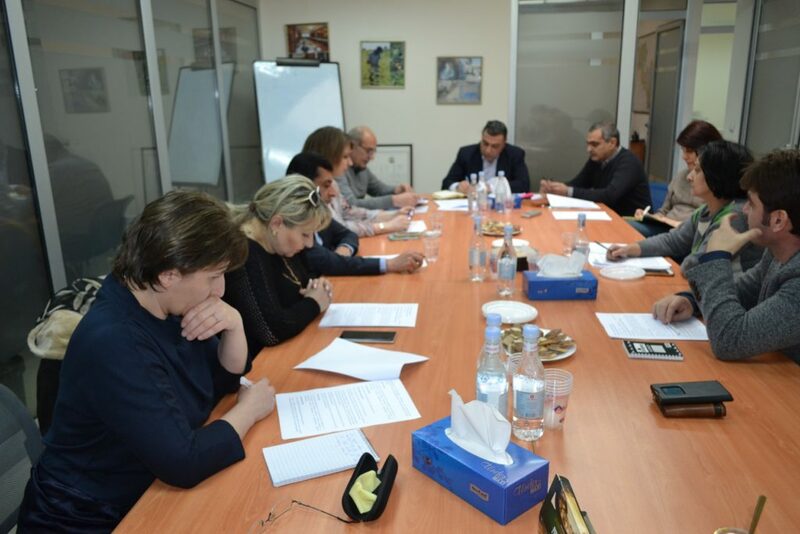 Offerors must submit one hard copy in Armenian of their Technical and Cost Proposals to the ASPIRED Project office at CITADEL Business Center, 105/1, Teryan Street, Suite 204, Yerevan. For two weeks, from January 14 to January 25, the ASPIRED Project conducted the training course on the new calculation method of the ecological flow in the Armenian rivers. 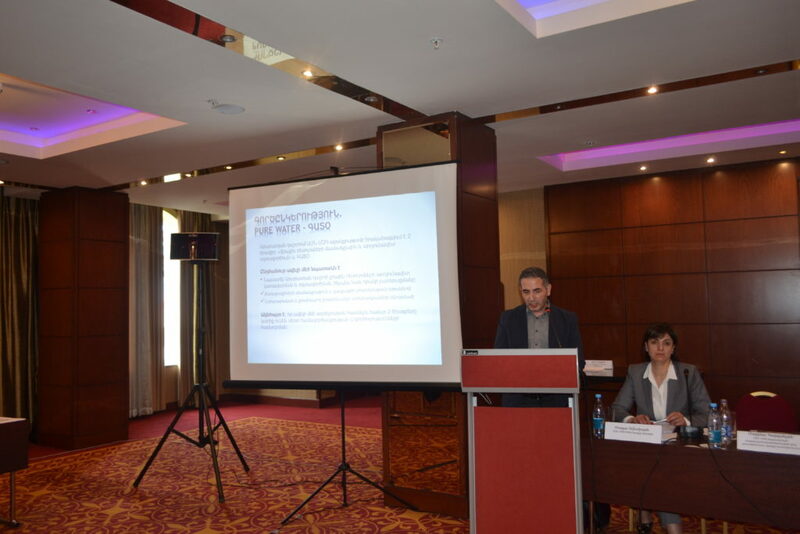 The new method of determination of the ecological flow has been developed by the Clean Energy and Water Program of USAID in 2015 and adopted by the Government of Armenia in January 2018. Realizing the need for additional training, the Water Resources Management Agency of the Ministry of Nature Protection requested USAID that the ASPIRED Project experts, who elaborated the method, provide in-depth training to the specialists of the Ministry estimating the ecological flow values as part of water use permitting and compliance assurance. 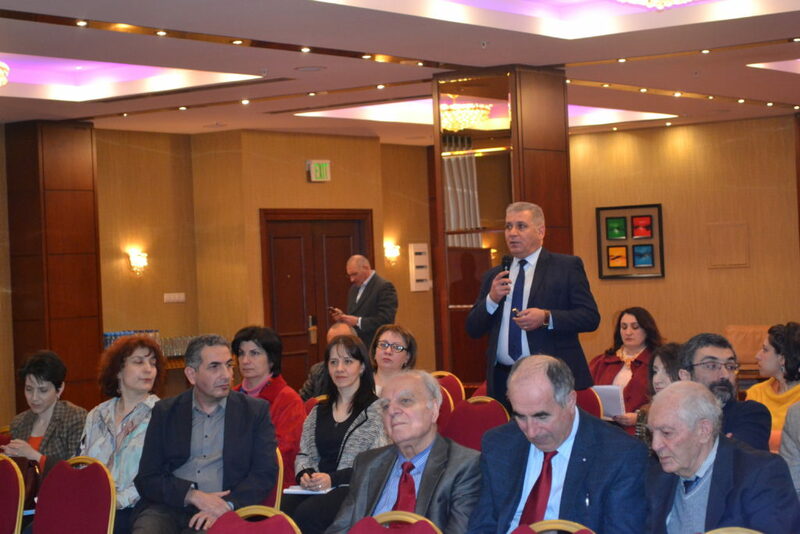 Combining both theory and practice, the course was a useful learning experience for the participants – the specialists of the various divisions of the Ministry of Nature Protection, Ministry of Agriculture, the Inspectorate for Nature Protection and Mineral Resources of the Government of Armenia. Starting from the general overview of the data management, GIS systems and general hydrology, the course gradually expanded to the method of determination of monthly and annual ecological flow values of both studied and unstudied rivers of Armenia, using Arpa River as an example. The participants received the user manual, the template file in MS Excel as well as the geodatabase (the GIS files) needed for the calculation of the ecological flow. On the photo left to right: Mayor of Sayat-Nova Razmik Alaverdyan, USAID Assissstant Administrator Brock Bierman, and farmer Armen Gharibyan. On the background winter wheat grown by the farmer. 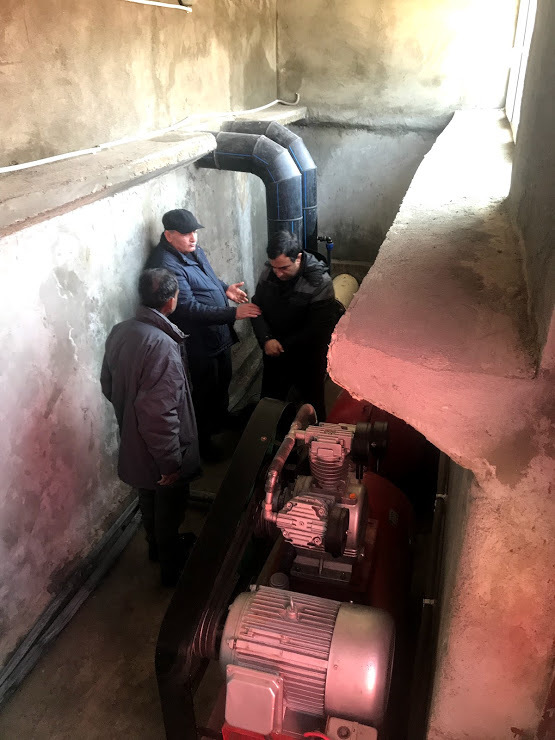 On December 19, the USAID Assistant Administrator Brock Bierman stopped in Sayat-Nova village while visiting various USAID-supported project sites in the region. 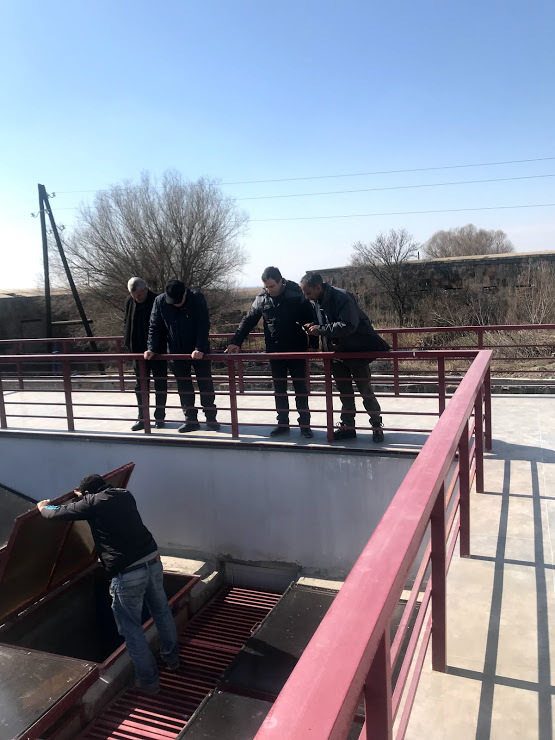 In September 2018, ASPIRED and its partners completed the irrigation improvement project in Sayat-Nova community, by using the outlet water of Masis-Dzuk fishery. Mr. Bierman met with the village mayor and the farmers to discuss the positive impact of the new irrigation system on the socio-economic situation of the community. 98 households got an opportunity to resume cultivation of their farmlands which have been left idle for nearly 20 years. Some farmers have already planted winter wheat this season and plan to grow more high-value crops next year which can earn them more income. JOB DESCRIPTION: The incumbent in the position of Intern for Data Analysis will serve under the general direction of the ASPIRED Project Chief of Party. As part of this Statement of Work, the intern will assisst the ASPIRED Project team on the activities to provide for better data organization required for calibration of the Decision Support System (DSS) for management of the Ararat Valley water resources. This will improve the incumbent’s skills in data organization and hydrologic analyses, using advanced approaches and tools. Analysis of the historical trends and generation of projections on the change of precipitation, air temperature and river flow using the Climate Change Model of the DSS. – Knowledge of English language is highly desirable. APPLICATION PROCEDURES: Interested and qualified candidates should send their CV to: aspired@engl.com specifying the position title (“Intern for Data Analysis”) in the subject line of the email. Only shortlisted candidates will be contacted for an interview. Please refrain from phone calls. ABOUT COMPANY: ME&A Inc. is a consulting firm in Bethesda, Maryland, USA with nearly 30 years of experience in international development. The primary client of ME&A has been the US Agency for International Development (USAID).